Your host family at JSP may sometimes take you for a road trip for a change! The Friday classes were over, and my host family waited for me by the school as planned. We set off for a 3-hour journey to my host parents’ hometown in Shizuoka. Though night came quickly, we still stopped to look at the lights illuminating Kakegawa Castle, castle built in the 15th Century built by a retainer of the Imagawa Clan: Asahina Yasuhiro. 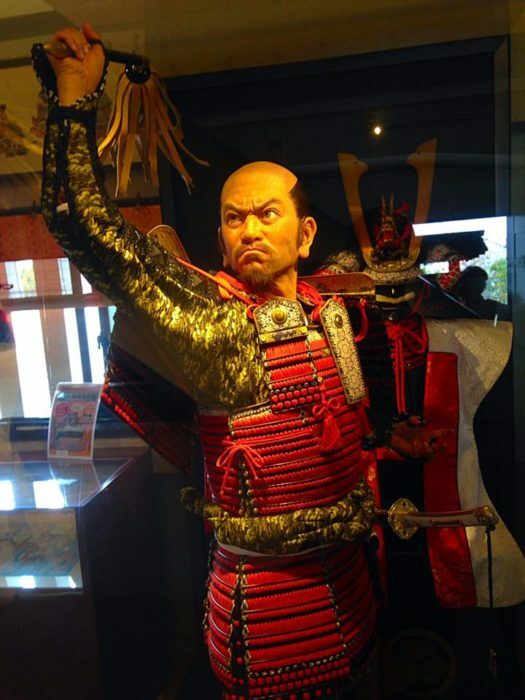 A model of Ieyasu Tokugawa, Japan’s first Shogun, is displayed at Hamamatsu Castle. The next morning, we enjoyed freshly-picked fruits and a wholesome breakfast made by my host father’s parents. The scenery is beautiful there. There are many streams and farms in the neighborhoods. Everyone is so friendly. It reminded me of the small-town I grew up from in Alabama. That afternoon, we visited Okuni Shrine, a highly-ranked shrine in Shizuoka. It has the title of “Ichinomiya”, meaning it is among the top ranking shrines in Japan. Here, I witnessed two or three Shinto-style weddings. The women wore the traditional white headdress and kimono, something I saw during my first week in Japan at Yokohama. If I ever had the chance to participate in a wedding like that, I would be so thrilled! I took a paper fortune as well, and it is guiding me even to this day. 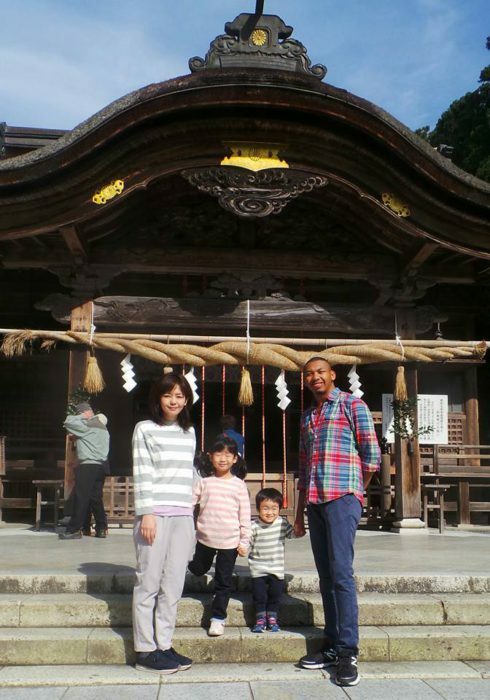 Visiting Okuni Shrine with my host family. Dad was not there as he was busy taking the photo. Next was Hamamatsu Castle, the home of Tokugawa Ieyasu. If you do not know, he was the first Shogun of Japan. The castle is widely respected for the beautiful stones that make up the castle; stones that are only seen in Shizuoka. 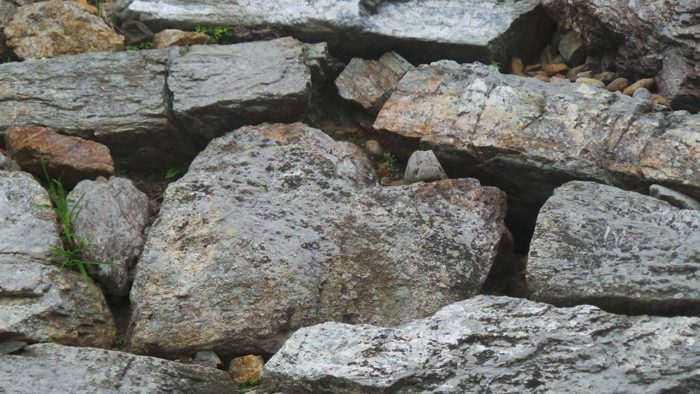 Rumor has it: if you find a stone with a heart shape, you will be happy with your other half forever! Immediately afterwards, I experienced my first trip to a private-room onsen. It was amazing! The rooms had a separate bathroom, bench, and bathing area (along with the hot spring itself). 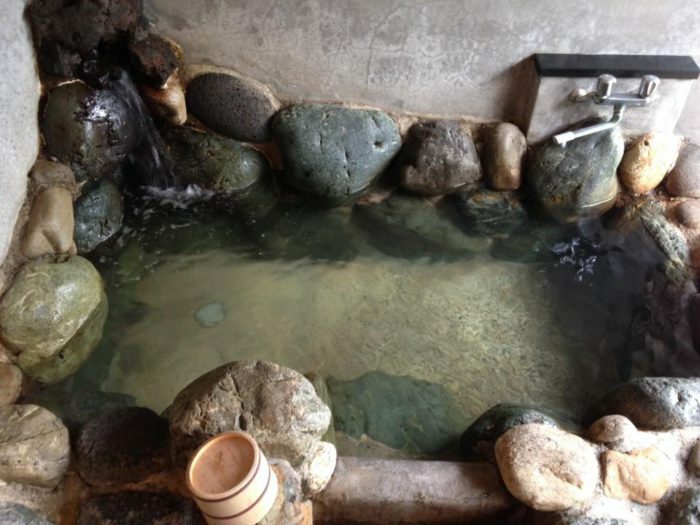 The whole natural hot spring bath is for myself only!!! My host dad also surprised me by taking me alone to Sunpu Castle, the historical site of Ieyasu’s lifetime. At this castle, a young Ieyasu was a hostage for the Imagawa Clan. Fast-forward to about 50 years later, Ieyasu gave the position of shogun to his son Hidetada and renovated the castle. He continued to rule Japan while living in Sunpu before his death in 1616. It is nothing more than a museum-styles vicinity now, but it is still quite beautiful. 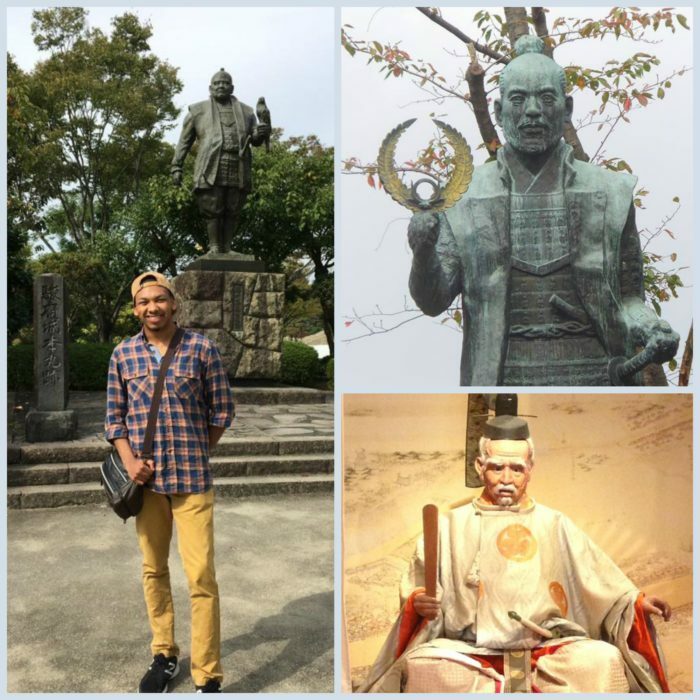 Visiting Sunpu Castle. Again, Dad was the photographer. 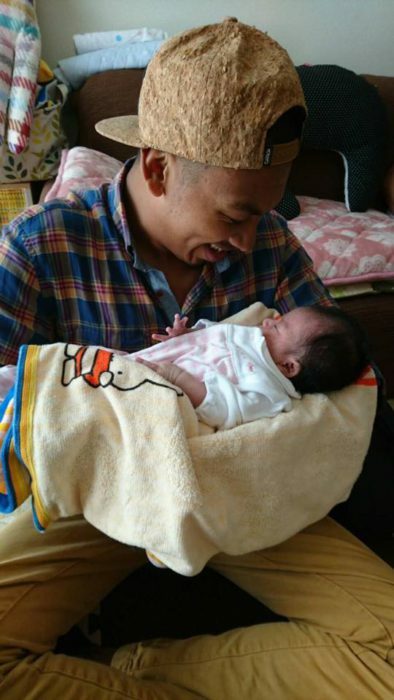 Lastly, I visited my host mother’s family and cradled in my arms a new addition to the family: Sakura. Tiny Sakura-chan sleeping tight in my arms! That night, I drank organic nihonshu (Japanese sake) with the host dad and grandfather. We talked a lot about Japanese history, one of my favorite aspects of Japanese society. 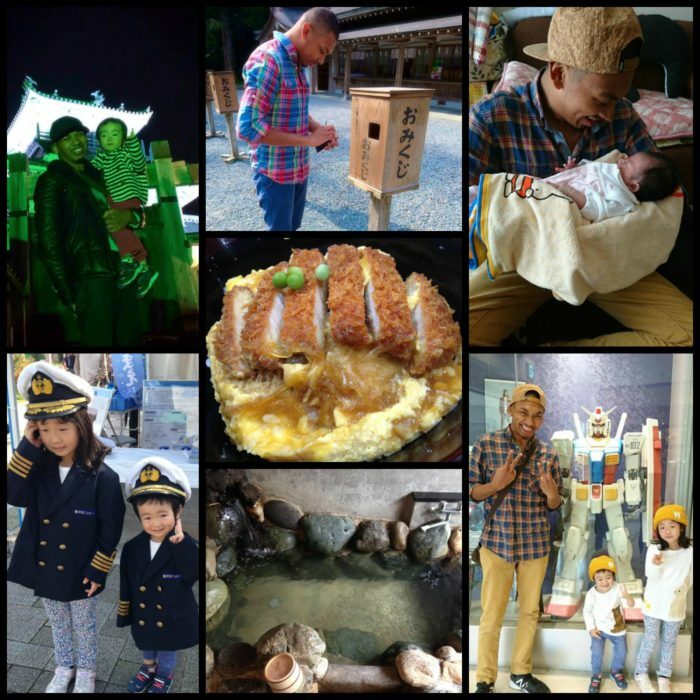 Playing with the kids, visiting specialized souvenir shops, eating katsudon (rice, egg, vegetables, and deep-fried pork cutlets) for the first time, and having unforgettable talks with my host parents makes this weekend the most memorable time of my Japanese experience.